Phobyas anti-kinking solution for tight bending radii! Tubing installation is often a compromise between perfect implementation and the limitations of the hose and case. The best solution is only possible with some accessories. There are multiple solutions on the market: Angled connector pieces and fittings with the disadvantage of an increased flow resistance, anti-kinking springs offer protection ,but cannot always shape the tubing the way it is needed. Hence we offer the perfect compromise: The Phobya angled clips! 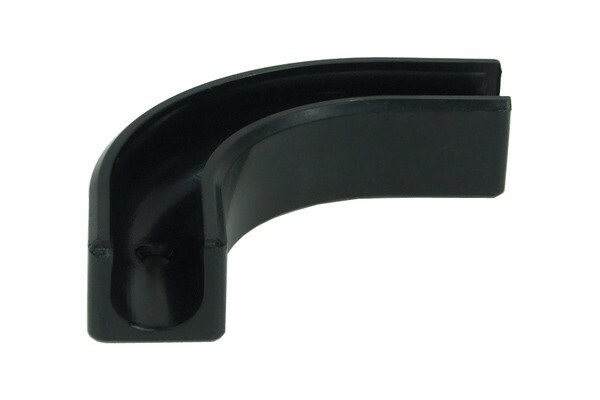 These angled clips do not only protect the tubing from kinking, the hose can also be fixated in place where you want it. This offers possibilities such as invisible hose routing behind drive bays or the Mainboard. The flat back of the clips allows quick installation of the clips with double-sided adhesive tape etc. An even more sturdy solution is using the pre-punched screw holes for maximum safety!